Dragon Boat Festival is tomorrow (18th June 2018, Chinese Lunar Calendar 5th May), there is Getai (Song stage) and lion dance at downstairs. It is interesting local culture which I am not familiar, just curious what happened out there. 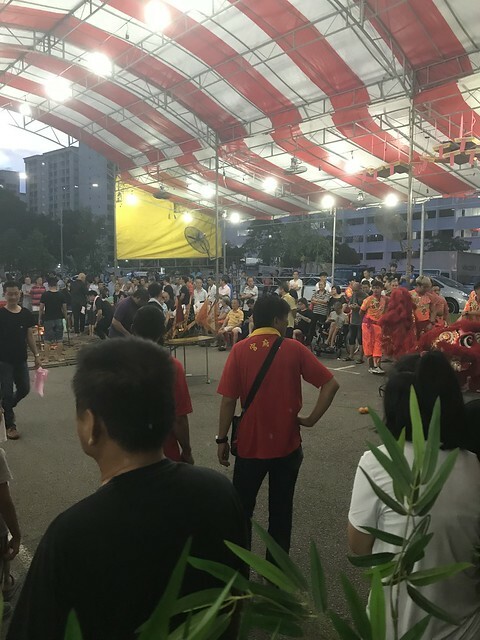 Getai is unique culture and art format from Singapore. It is live stage show often held in local community and neighborhood. 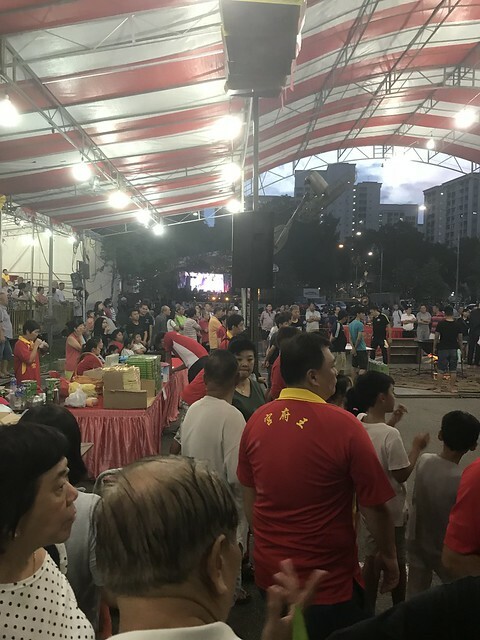 This Getai is at 685A HouGang Stree 61, Singapore. 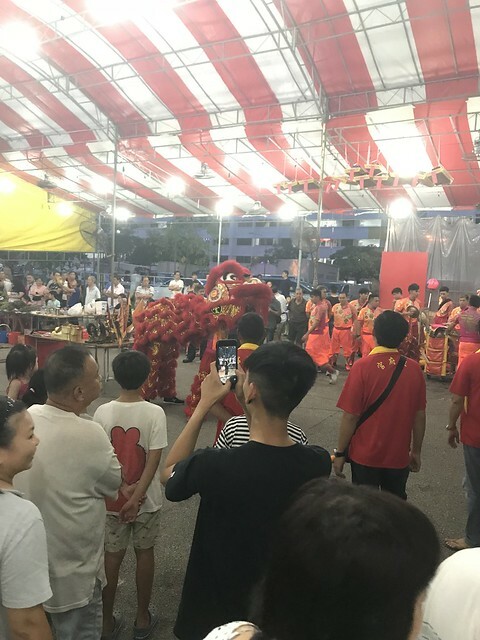 Lion dance normally happens at important events such as Chinese New Year, and often in the event of worshiping Tua Pek Kong(大伯公). Tomorrow is Chinese Dragon Boat Festival, might be an important event.